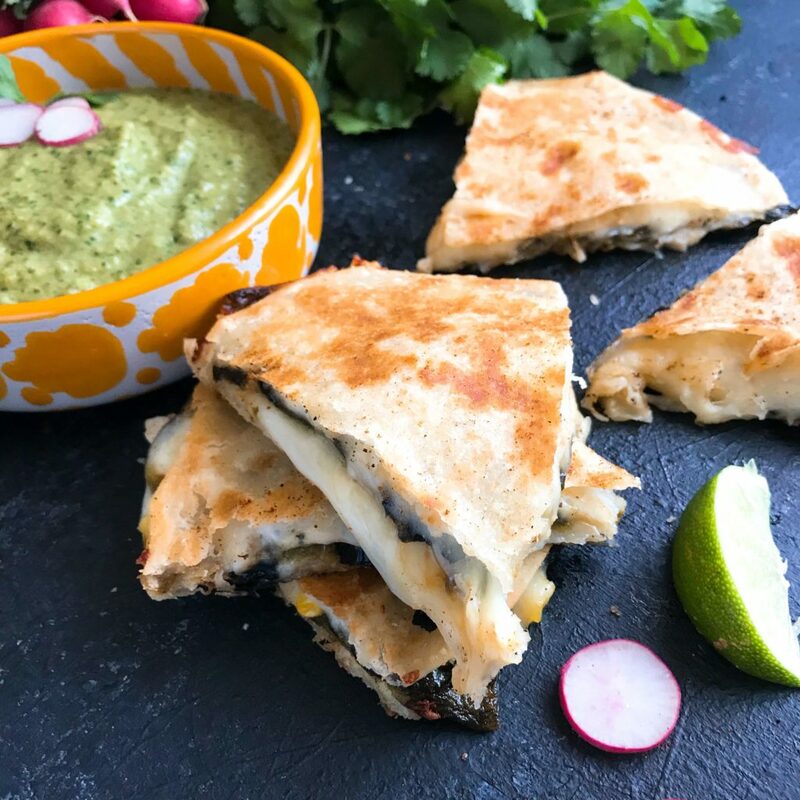 This Vegetarian Chile Relleno Quesadilla is a fun and fast Mexican recipe. 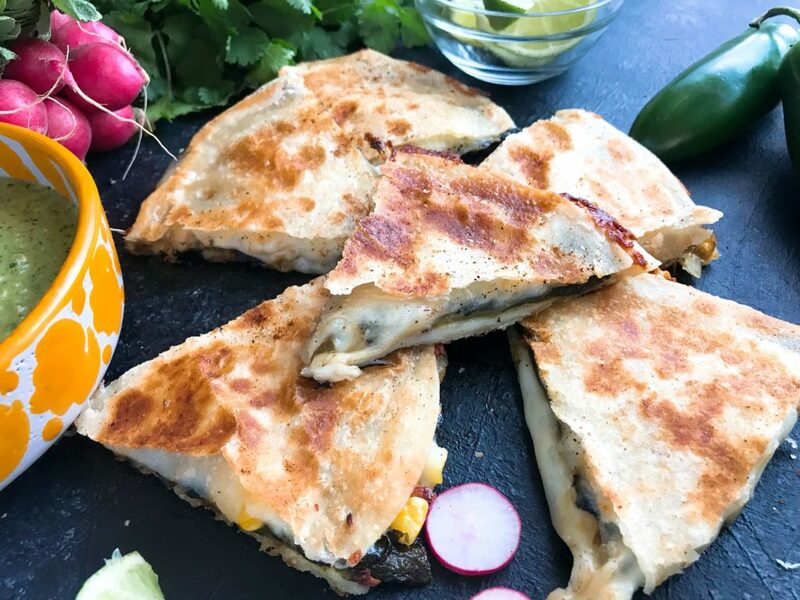 Perfect as a snack, lunch, appetizer, or even dinner, these quesadillas use the same great flavors of a chile relleno in a new way. 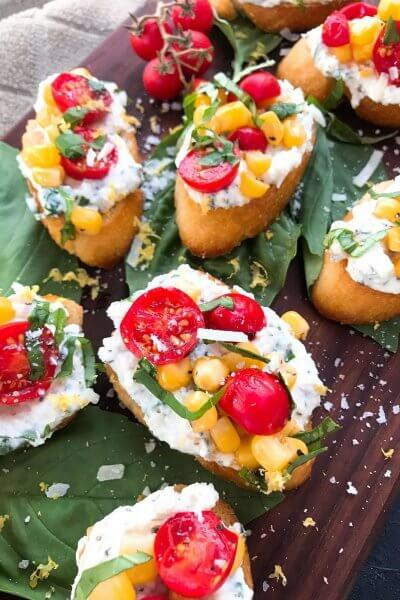 Mexican food is one of my favorites, especially when it is centered around roasted peppers and fresh flavors. Chile rellenos are one of my favorite things to make, but they can be tedious and time consuming. 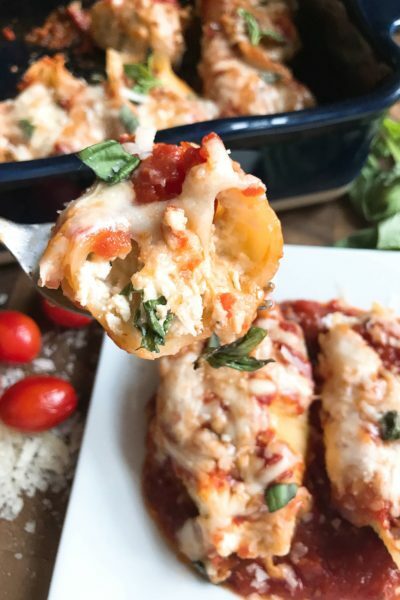 So I have been on a mission to find new ways to use the same great flavors of a chile relleno in faster and simpler recipes! Roasted peppers are one of my favorite things to include in recipes. 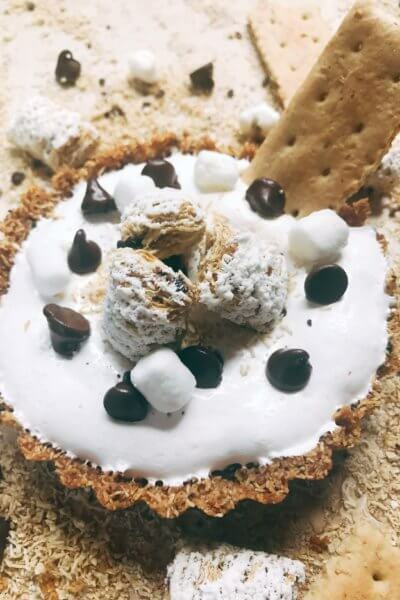 The roasting brings out an amazing flavor in a simple way. 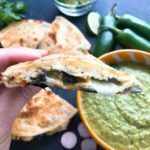 You can roast any peppers you like, but poblanos (like in this Vegetarian Chile Relleno Quesadilla) are my favorite. Learn how to roast peppers here! I also love poblanos because they have a mild heat so I can pile them up for a lot of roasted pepper flavor without making them too hot! Make a spicy Vegetarian Chile Relleno Quesadilla by using hotter peppers or adding hot sauce. You can also make a meat eater version with Chicken Chile Relleno Quesadillas. 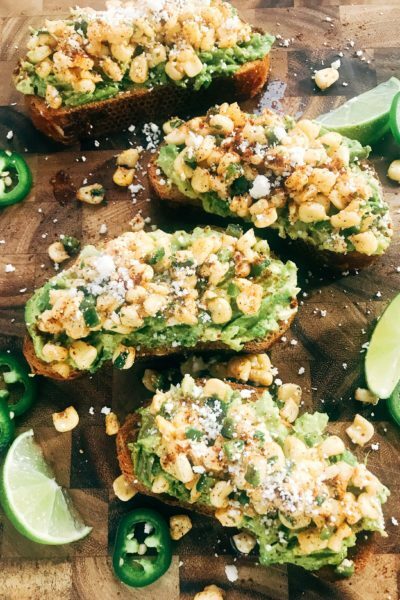 Add any vegetables or add ins that you like. I love to add some onion and corn, but keeping the focus on the roasted peppers. And serve them up with your favorite sauces! This Creamy Roasted Poblano and Lime Enchilada Sauce that you see in the pictures here is my favorite! And it is the perfect compliment for the Vegetarian Chile Relleno Quesadilla without overpowering the simple flavors. Quesadillas are so fun and easy! What fun flavor combination do you want to see in a quesadilla next? Tell us in the comments below! The same great flavors of a chile relleno in quesadilla form! Make sure your chicken and peppers are ready to go. Use any leftover chicken, or bake some, and shred. Roast the peppers by placing them on the top shelf of the oven on the broil setting. Leave the oven door open just a crack. Roast on the heat until the peppers start to turn black and the skin is blistered. Rotate and repeat until all sides are roasted. This will take only a couple minutes per side. Remove the peppers from the oven and place in a sealed bag or tupperware to sweat (this makes them easier to peel). 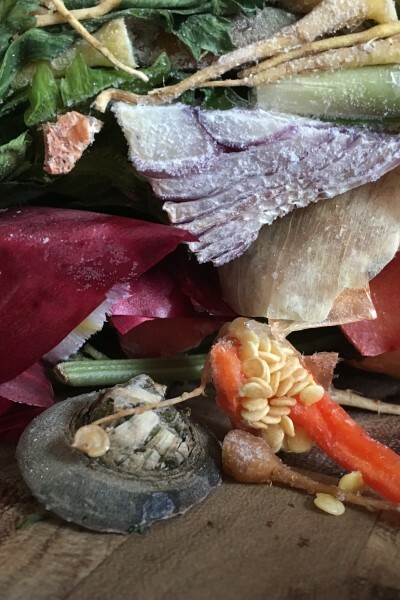 When cool enough to handle, scrape off the blistered skins and discard. Remove the stem and seeds from the peppers (they may tear and break, this is fine). When everything is diced and ready, put the butter into the skillet. As soon as the butter is melted, placed a tortilla in the skillet. Add 1/2 cup of the monterey jack cheese spread out on the tortilla in the skillet. Lay slices of the roasted peppers across the entire tortilla in a single layer. Sprinkle the chicken, onion, corn, cumin, and cilantro on top. Add the remaining monterey jack cheese on top. Cut the quesadilla into triangles and serve with sour cream or your sauces of choice. 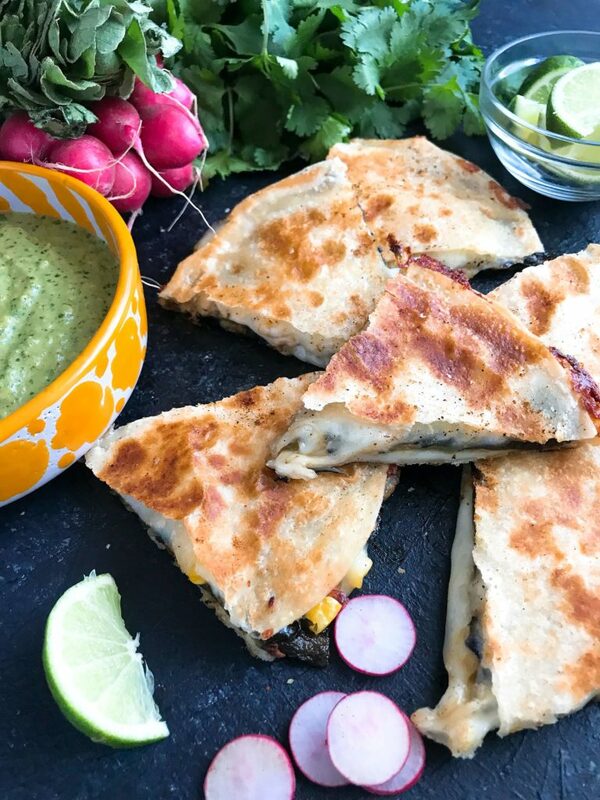 Use any vegetables you wish in these quesadillas! Learn how to roast peppers here!